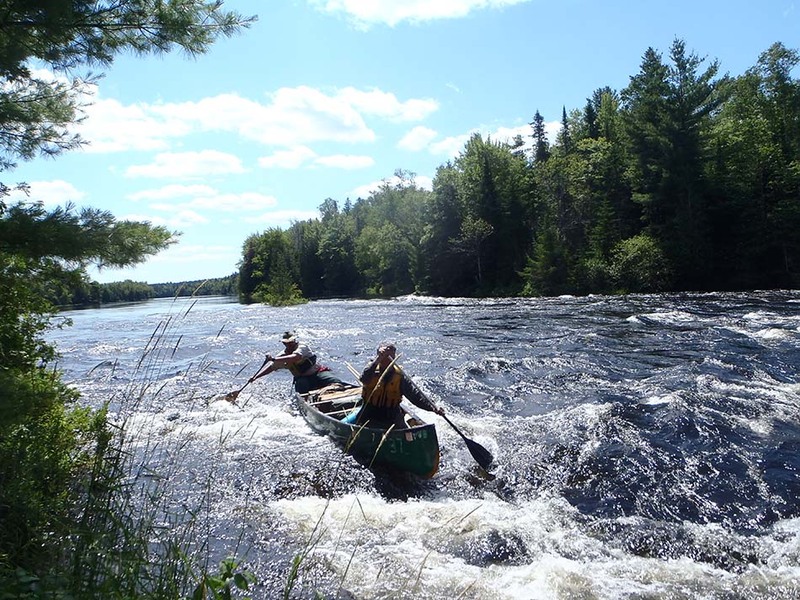 The St. Croix River is perhaps Maine’s best, if not only, choice for a relaxed extended canoe trip with whitewater in the middle of the summer season and into the fall. 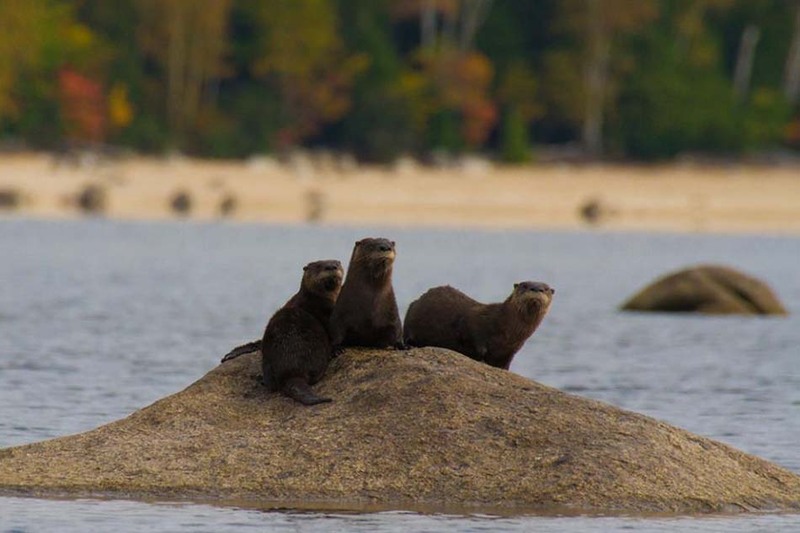 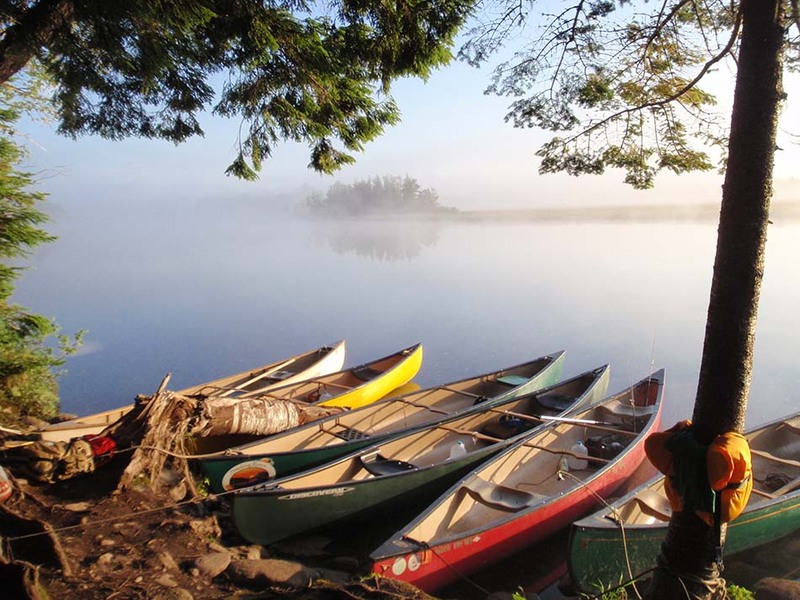 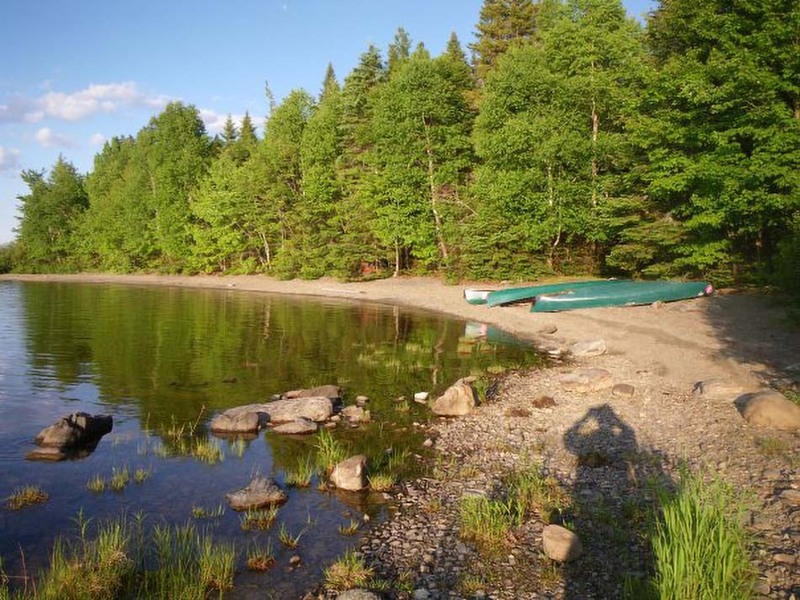 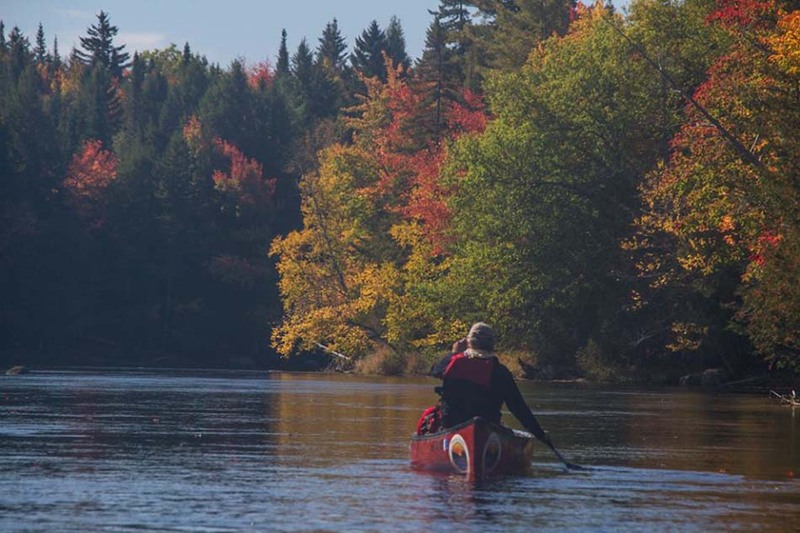 One of Maine’s true gems, the St. Croix International Waterway begins in an extensive chain of wilderness lakes and flows through exceptionally beautiful woodlands and vast natural meadows along the Maine/Canada border. 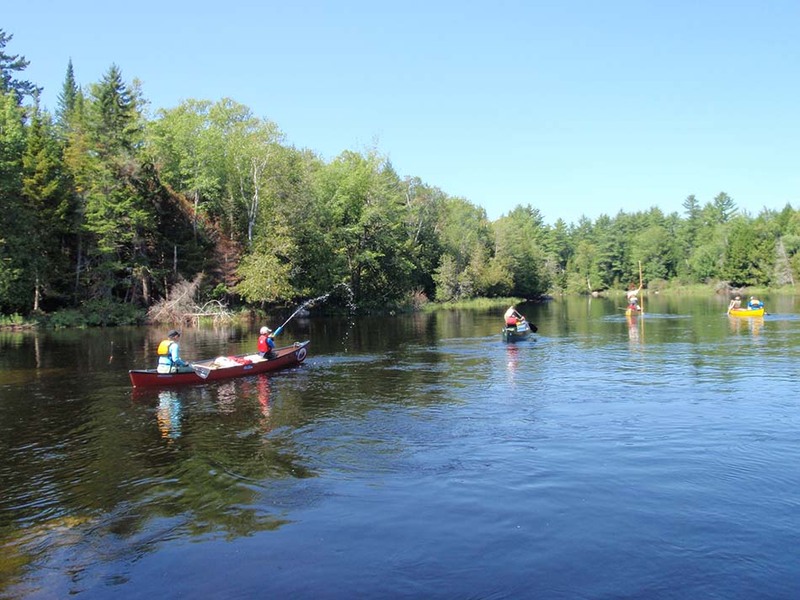 The St. Croix River itself, from its sources of East Grand and Spednic Lakes, begins in the small town of Vanceboro, Maine and continues to its outlet with the Atlantic Ocean in Calais, Maine. 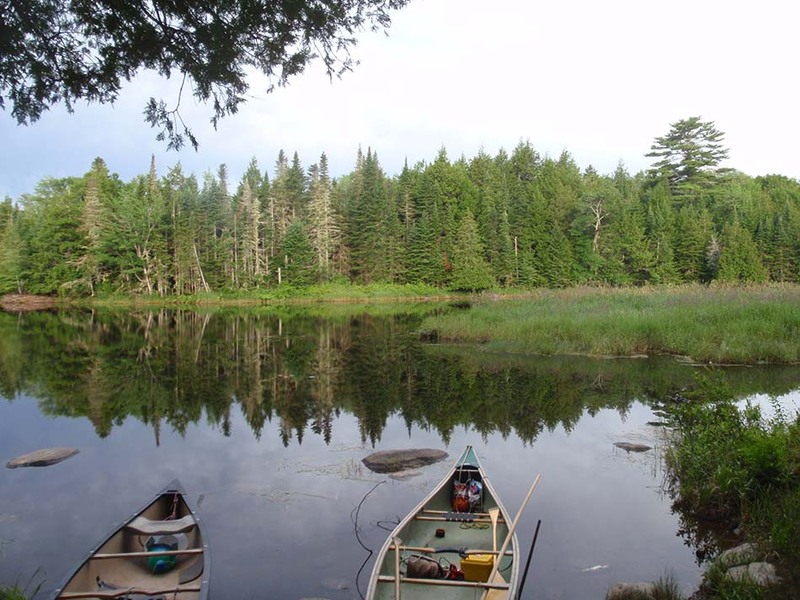 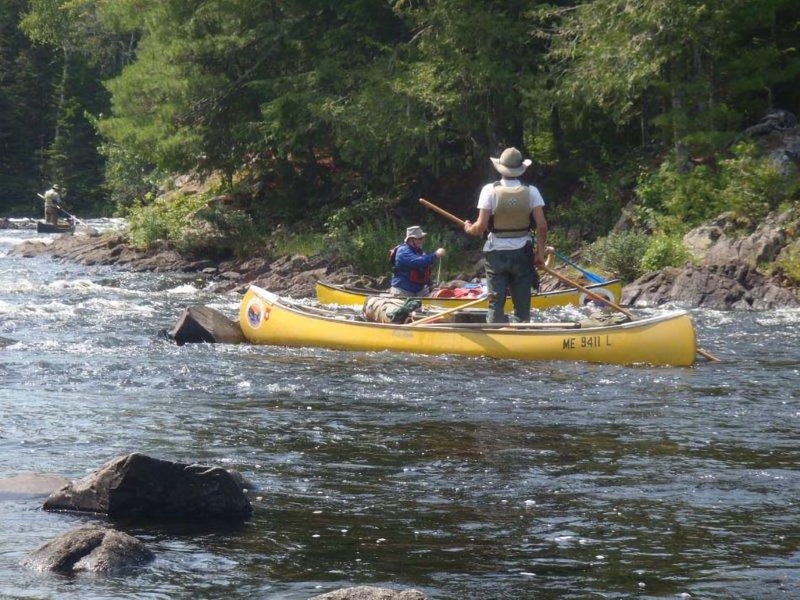 Between Vanceboro and Calais, the river meanders through the beautiful forests of eastern Maine. 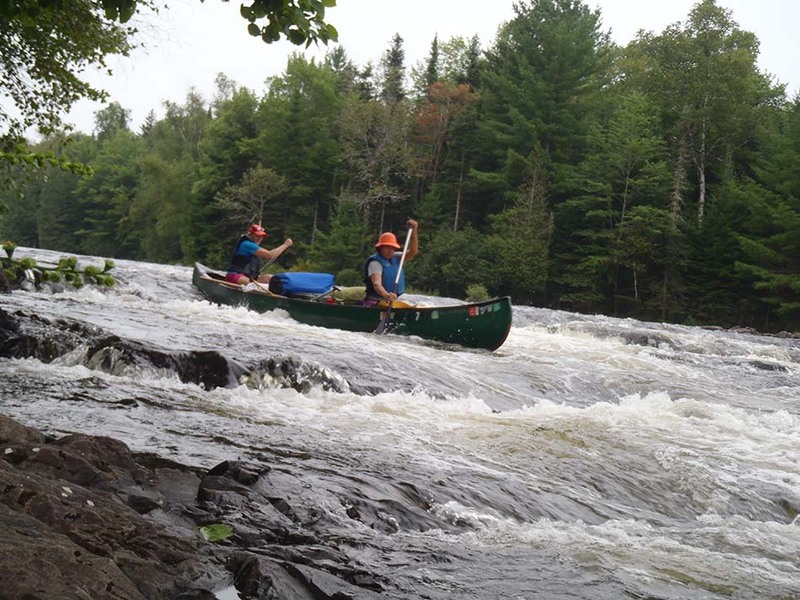 Featuring over 25 distinct rapids, ranging from light rips to Class II+ such as Little Falls and Canoose ledge and the aptly named Rocky Rips, the St. Croix River trip is an exceptional option for beginner paddlers and those that are veterans of river trips. 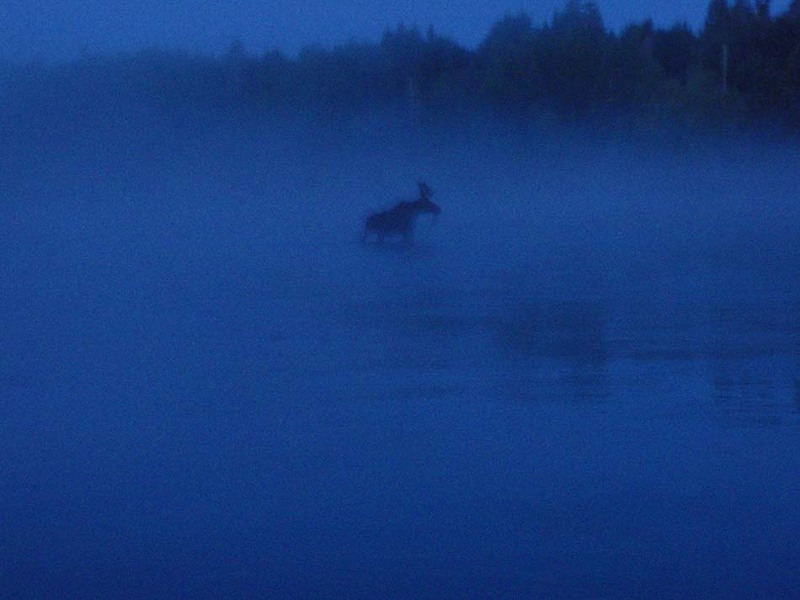 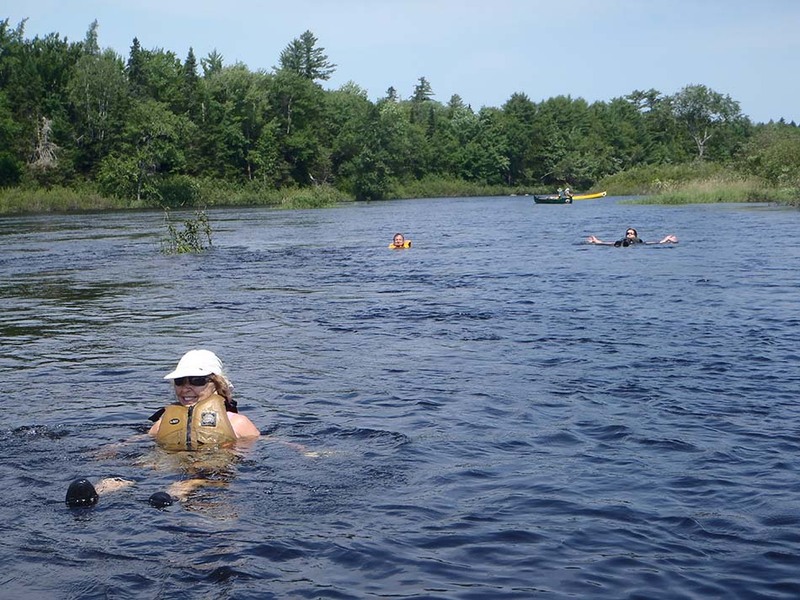 Whitewater is not the only notable feature of the St. Croix river canoe trip. 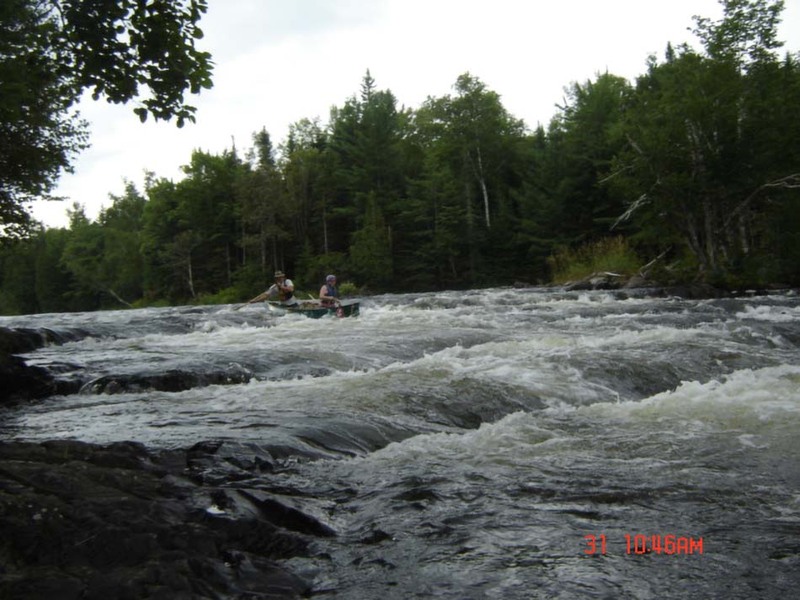 While many enjoy the thrill of the rapids, there are also ample opportunities while on the river for fishing for smallmouth bass or cooling off by floating next to the canoe in some of the numerous shallow, meandering sections of river that provide a respite to the whitewater. 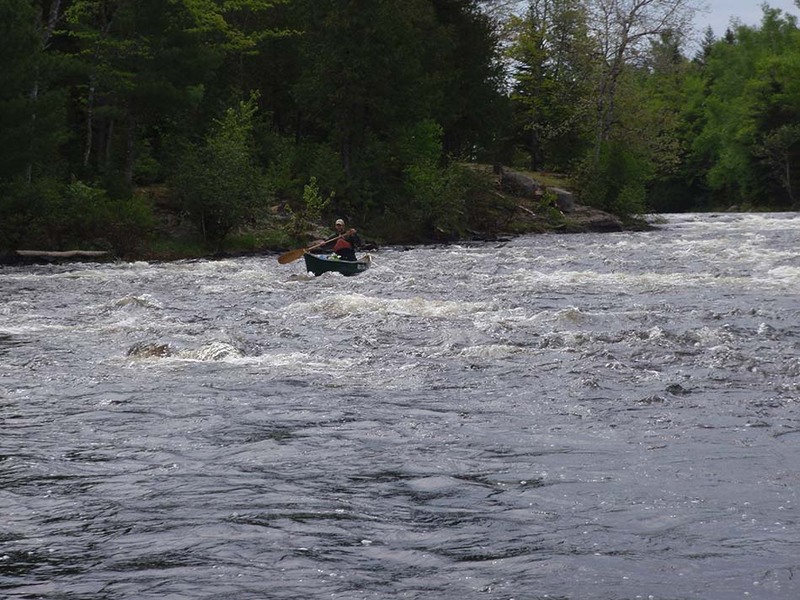 While flowing downstream, the river passes innumerable stands of towering White Pine, Eastern White Cedar, and Eastern Hemlock trees. 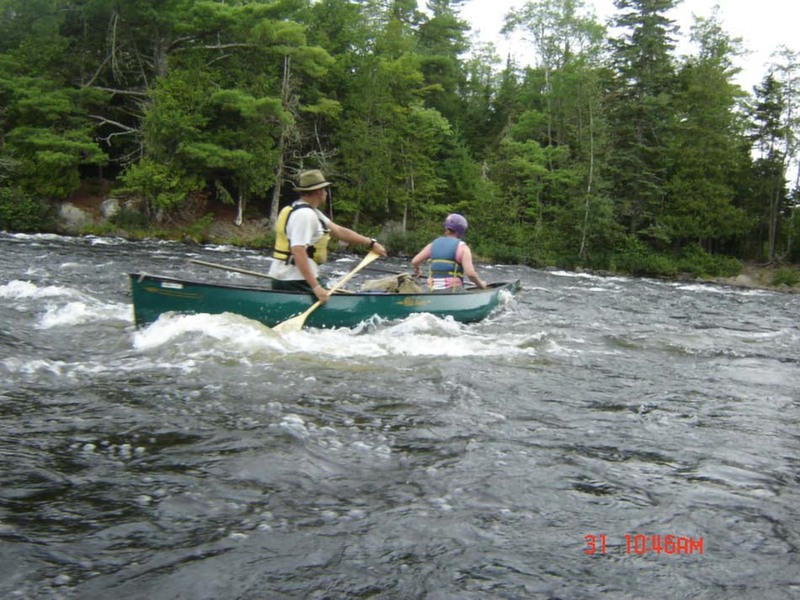 Trips on the St. Croix River can be organized in dates of 2-8 Days and can encompass the entire river section (our most popular option 4 day, Vanceboro to Kellyland), a smaller portion of the river (Vanceboro to Loon Bay 2-3 day options) or the entire Spednic Lake and river section (Forest City to Kellyland 5-8 day options) depending on group desires. 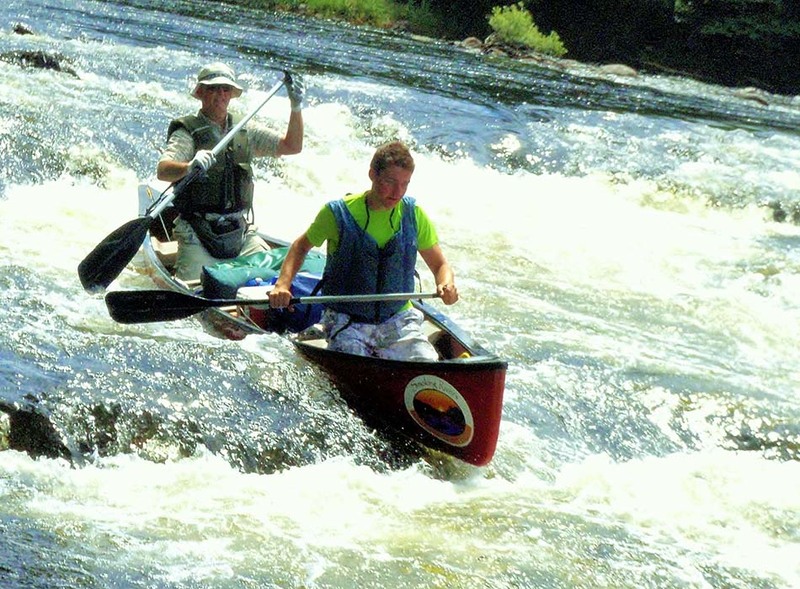 Spednic Lake and the river itself are suitable for paddlers of all ages and ability levels. 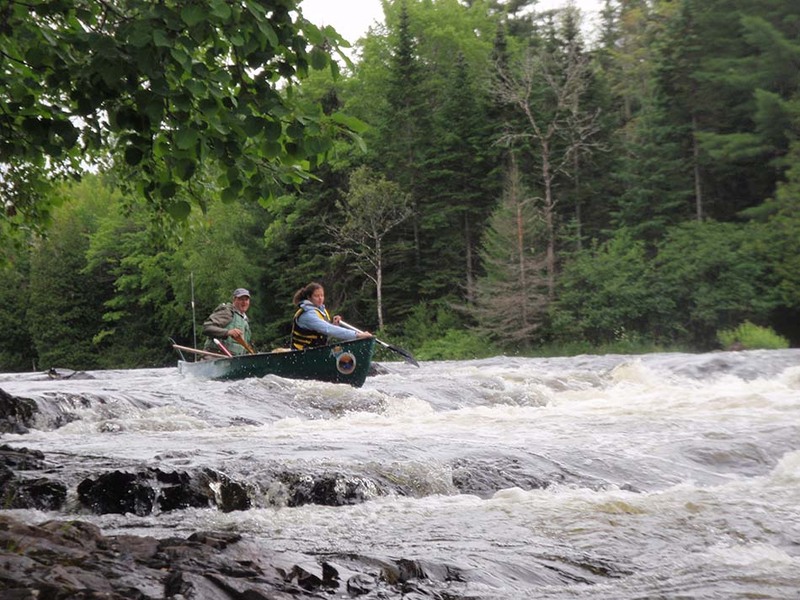 Once used for driving logs through the remoted forested reaches of eastern Maine and the Canadian province of New Brunswick, the outstanding natural values of the St. Croix International Waterway has led to its protected status as a ‘Canadian Heritage River.’ Historical remnants of the log-driving era, which ended with the final log drive of 1965, abound throughout the St. Croix International Waterway. 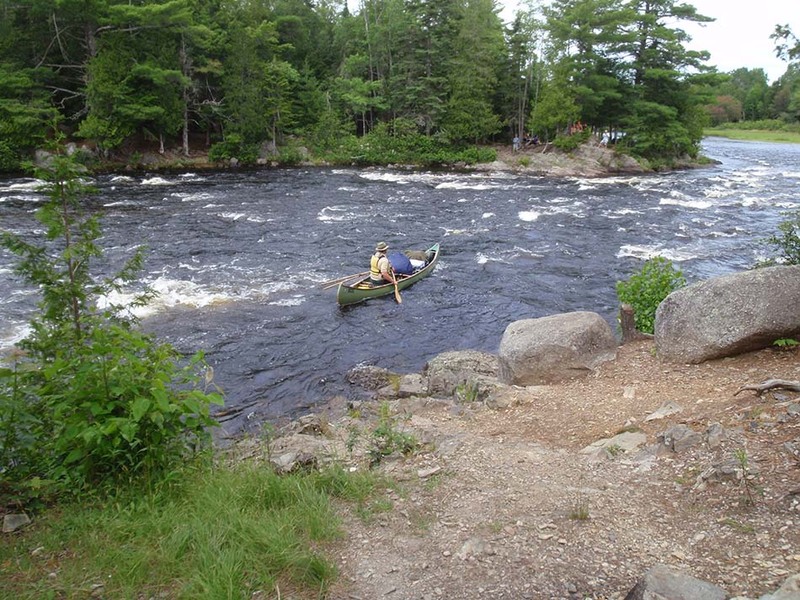 In addition to the rich history of logging throughout the area, the St. Croix also played host to numerous Native American tribes who used the St. Croix river as a direct link to the Atlantic Ocean, which the St. Croix flows enters in Calais, Maine. 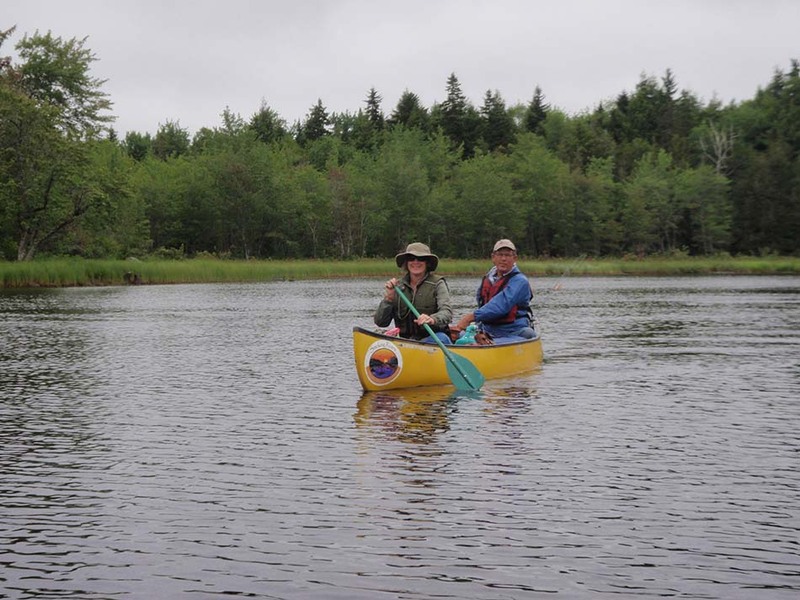 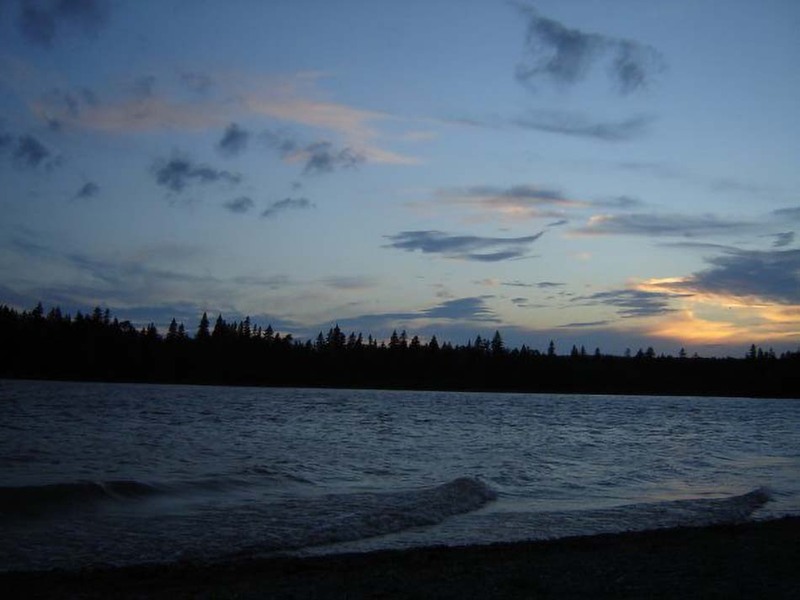 Today, the Passamaquoddy Tribe, whose reservation is located near the river, actively use the waters and aim for its protection for the future. 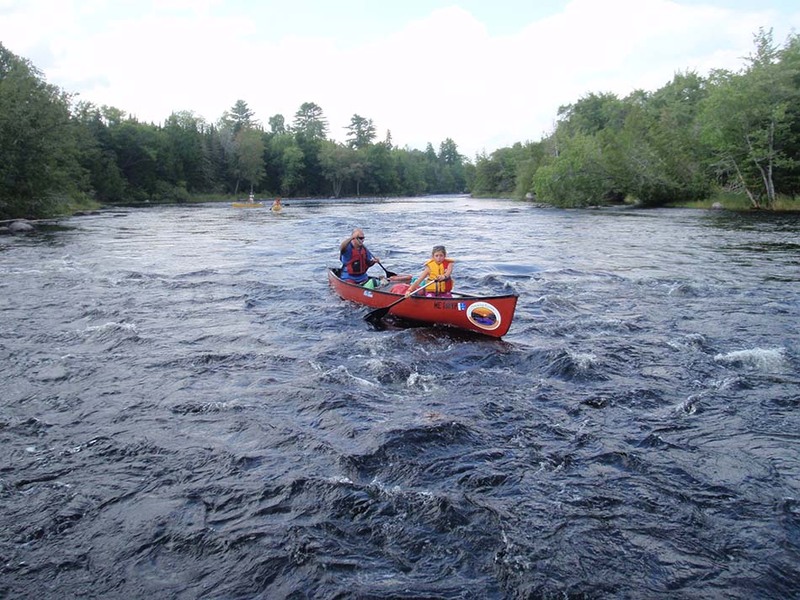 The St. Croix Rivers water flows are maintained throughout the summer season by a dam in the small town of Vanceboro, Maine. 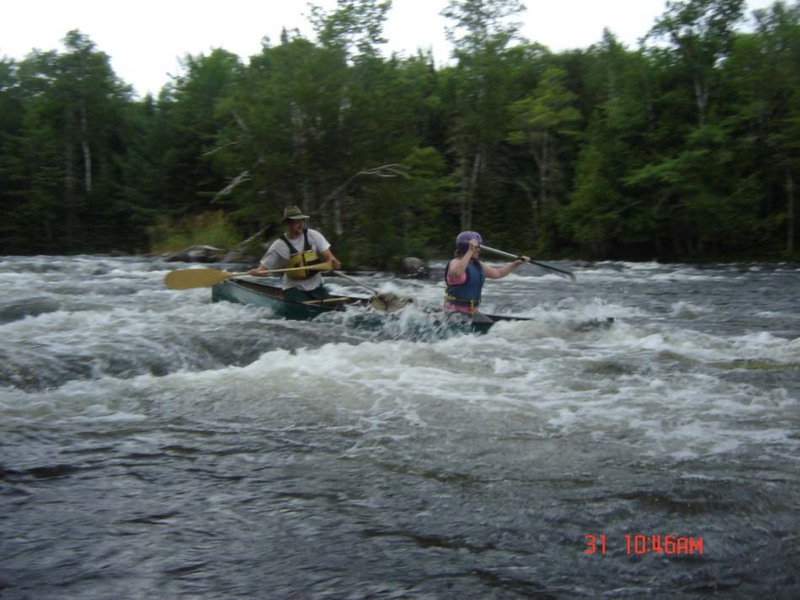 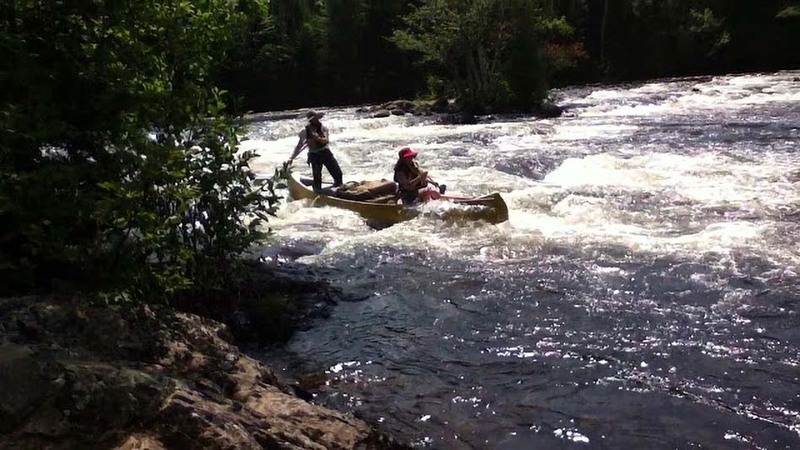 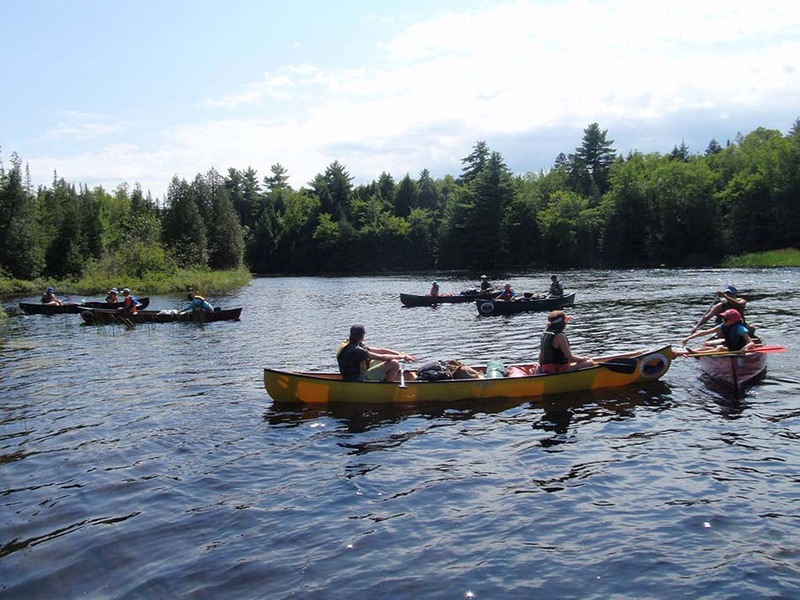 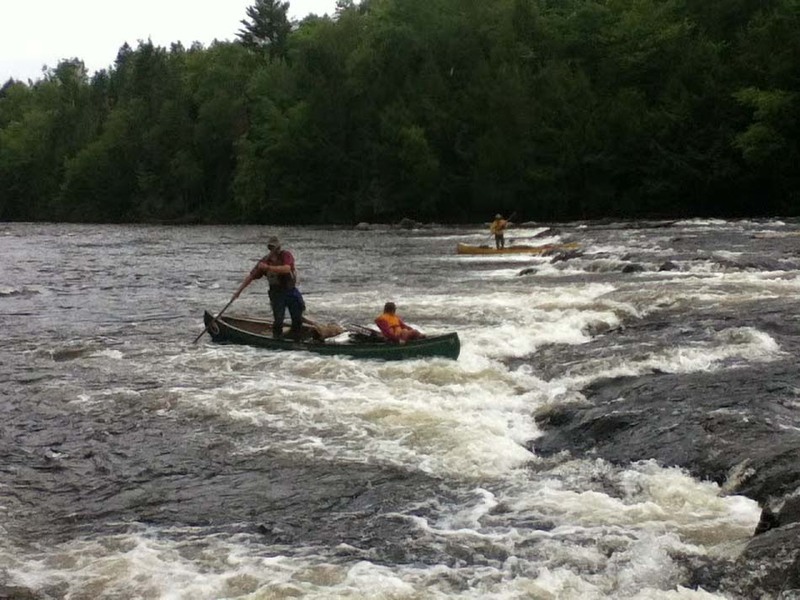 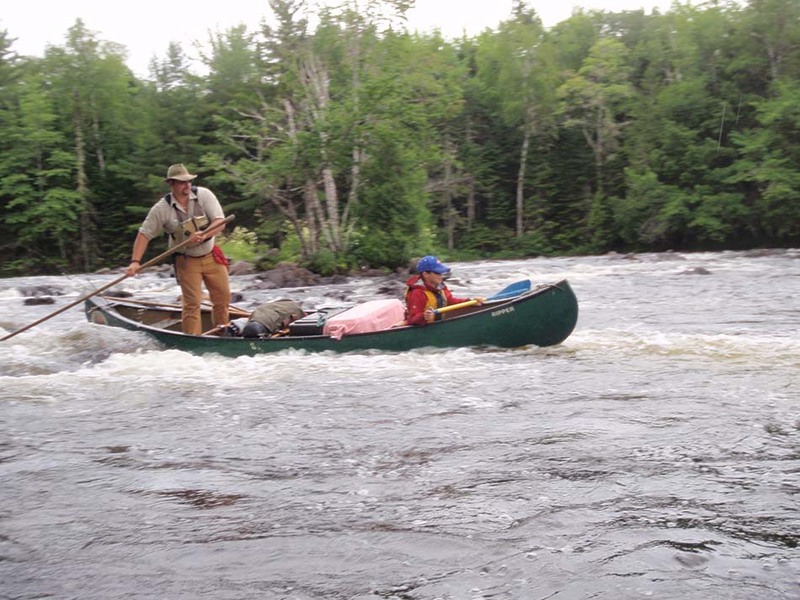 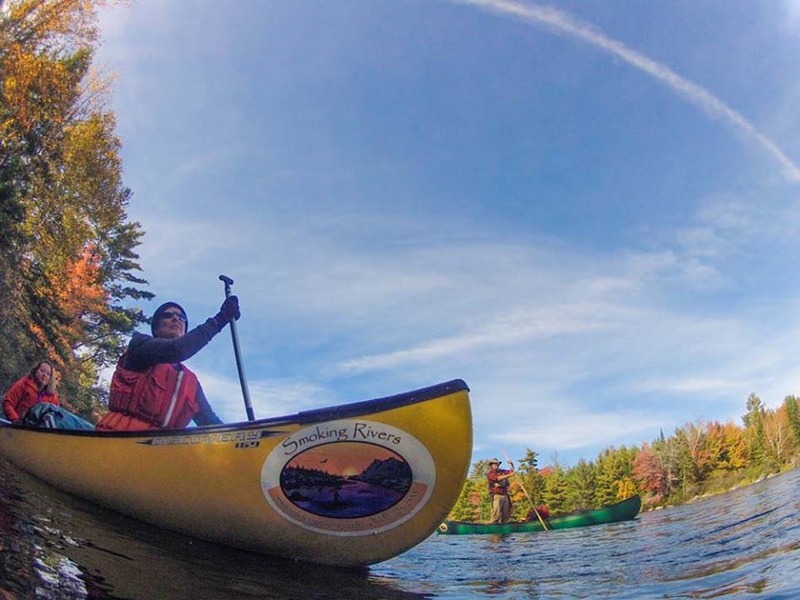 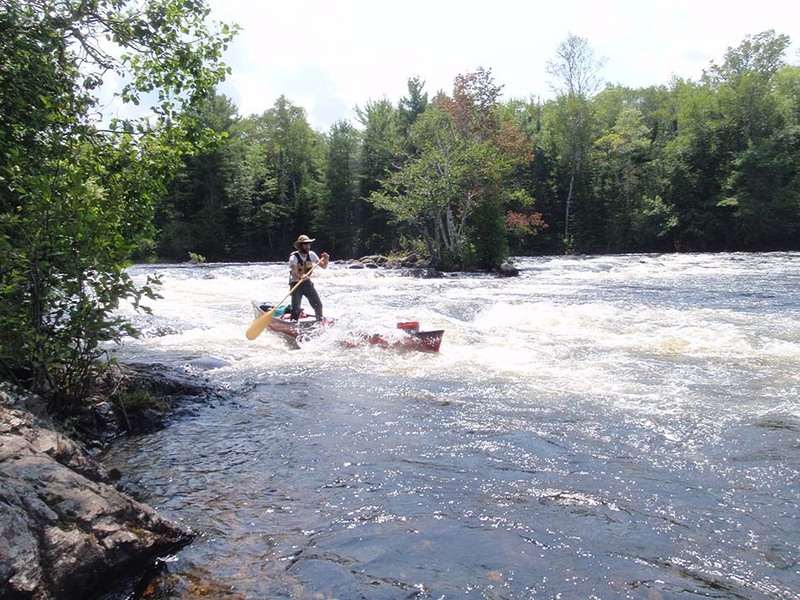 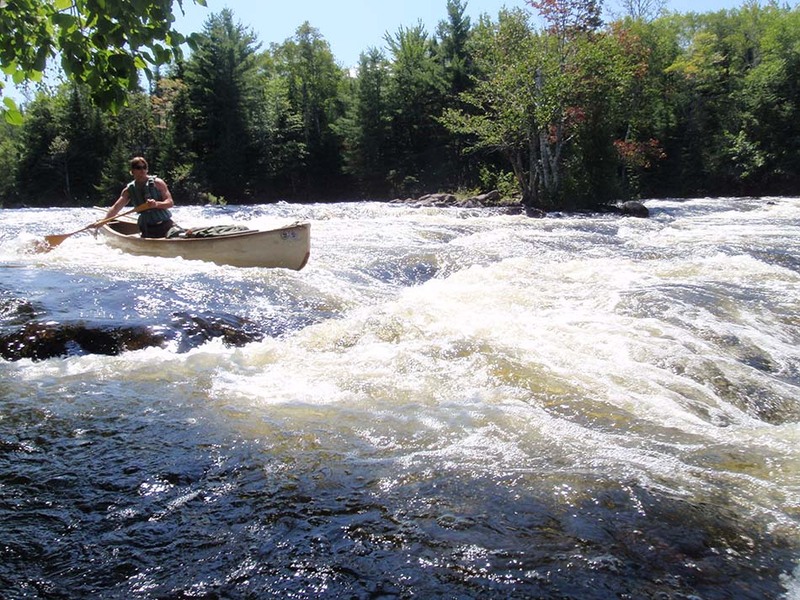 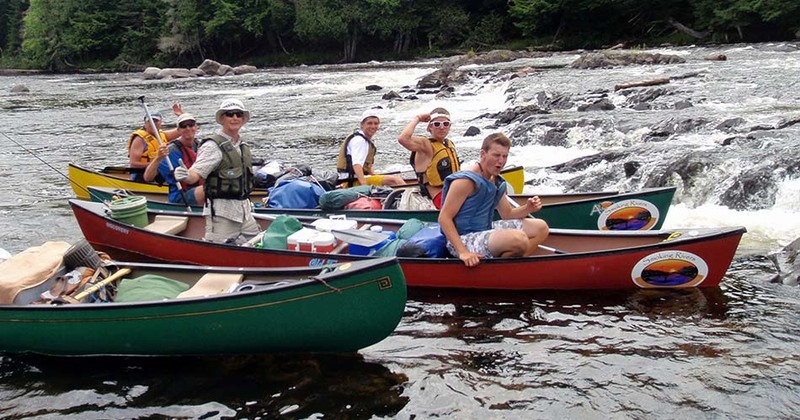 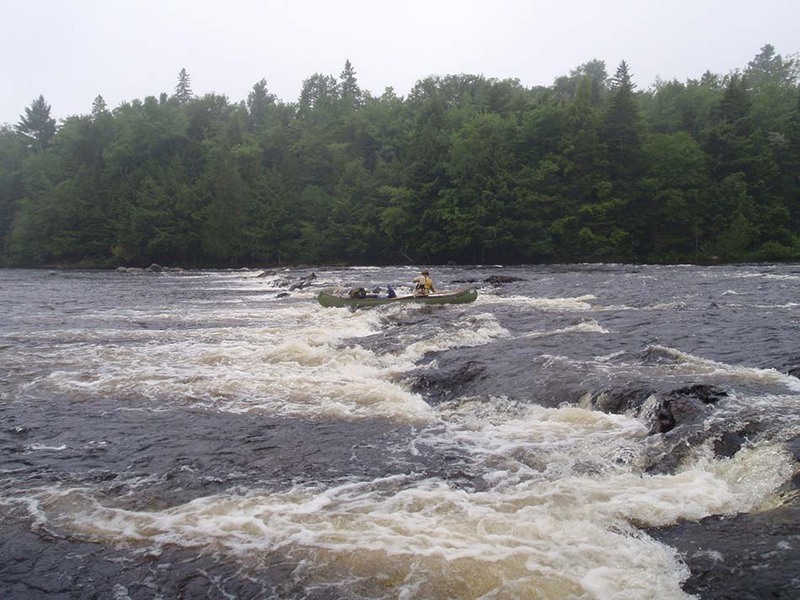 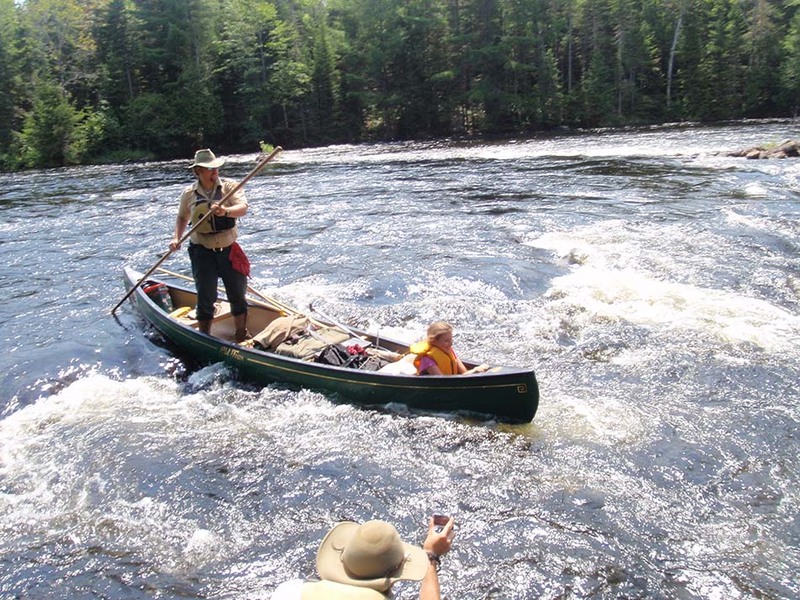 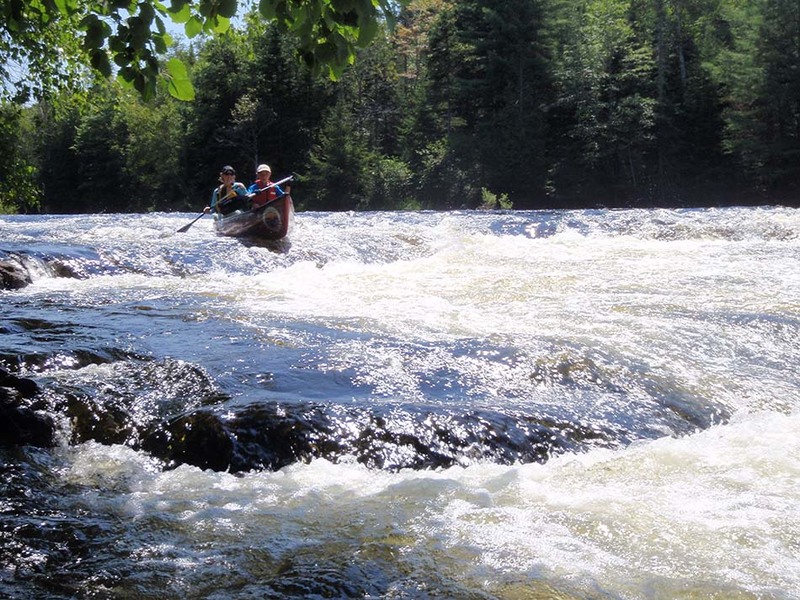 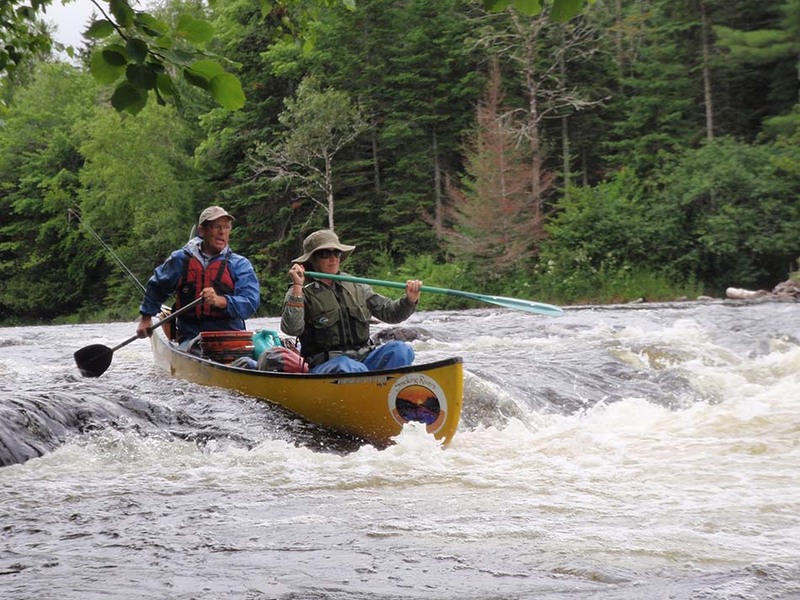 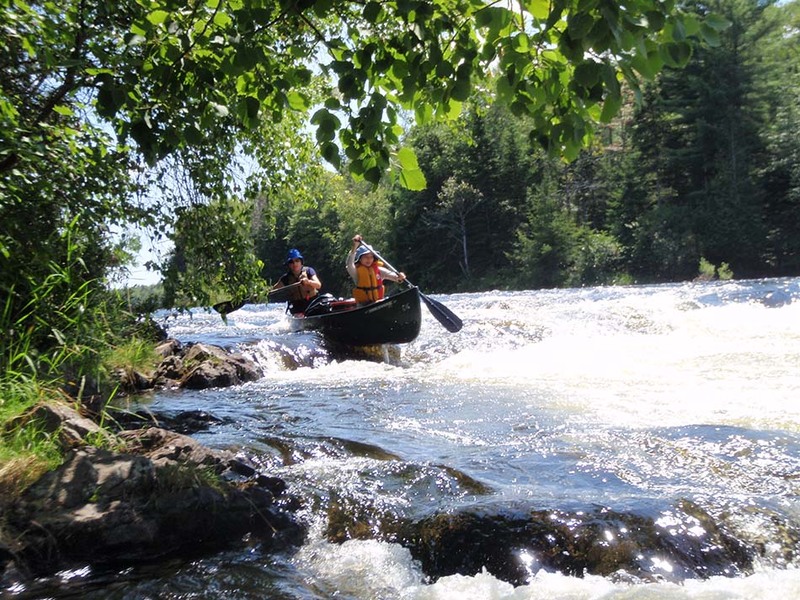 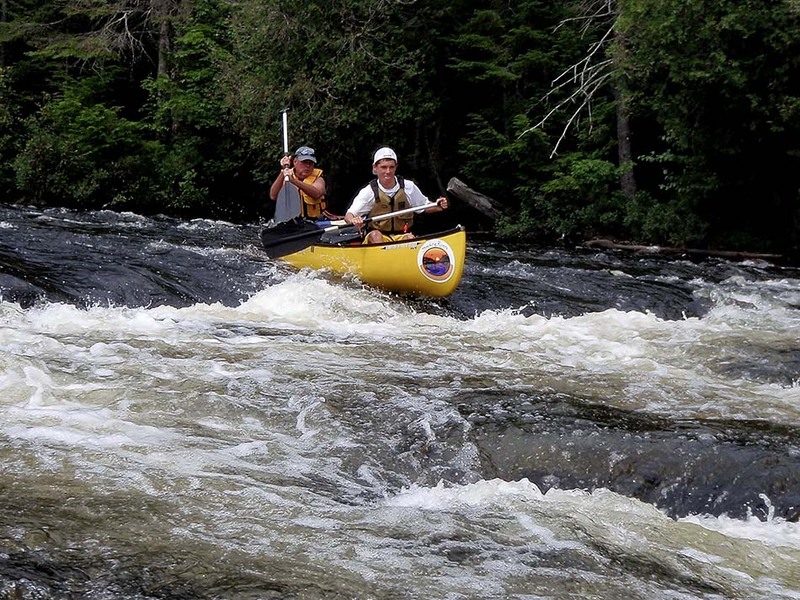 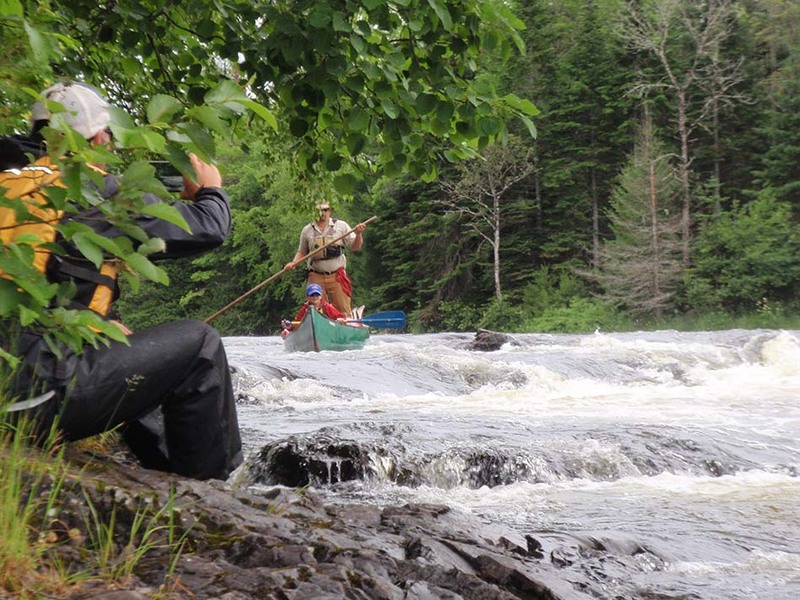 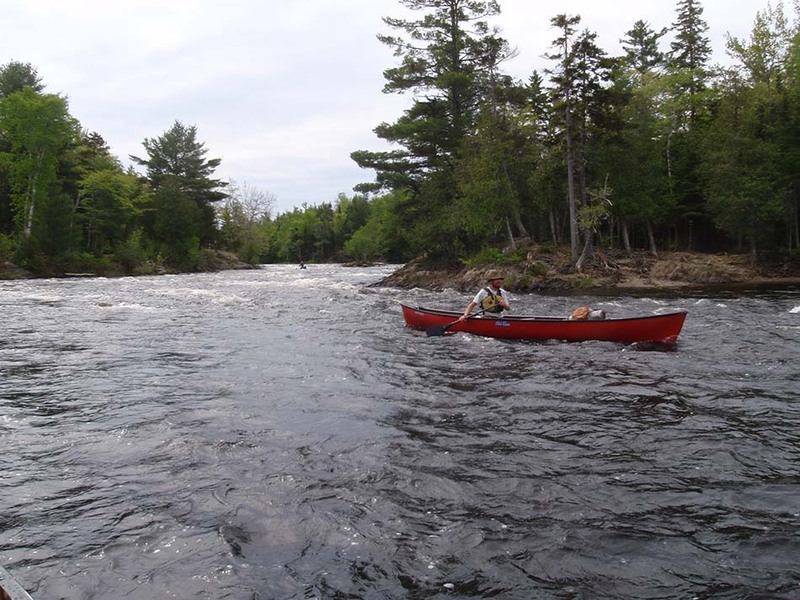 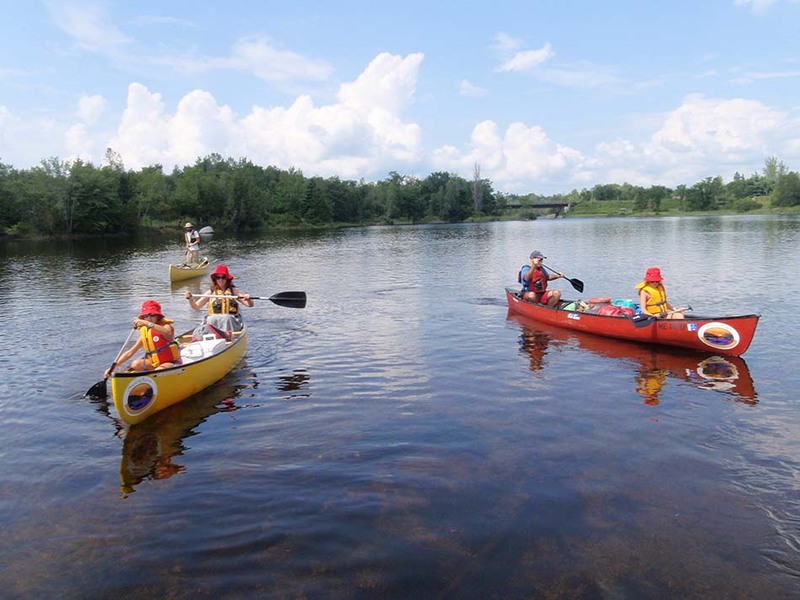 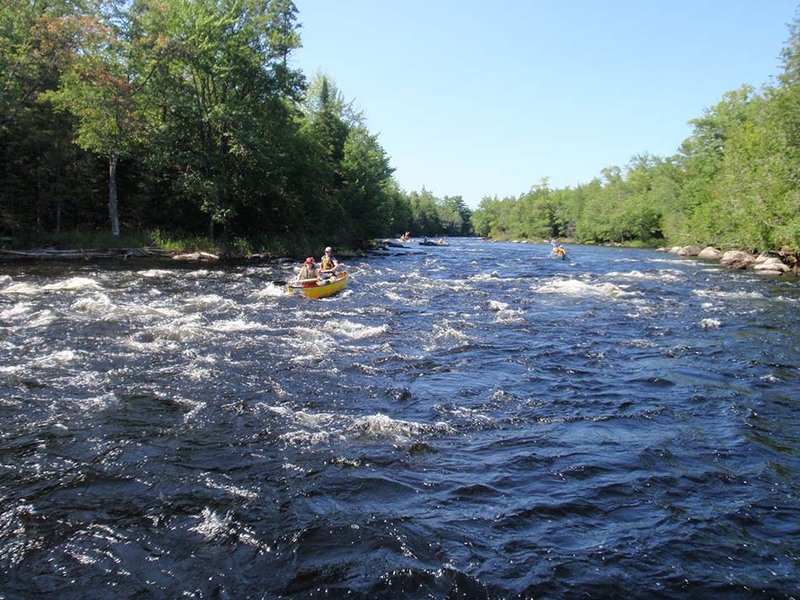 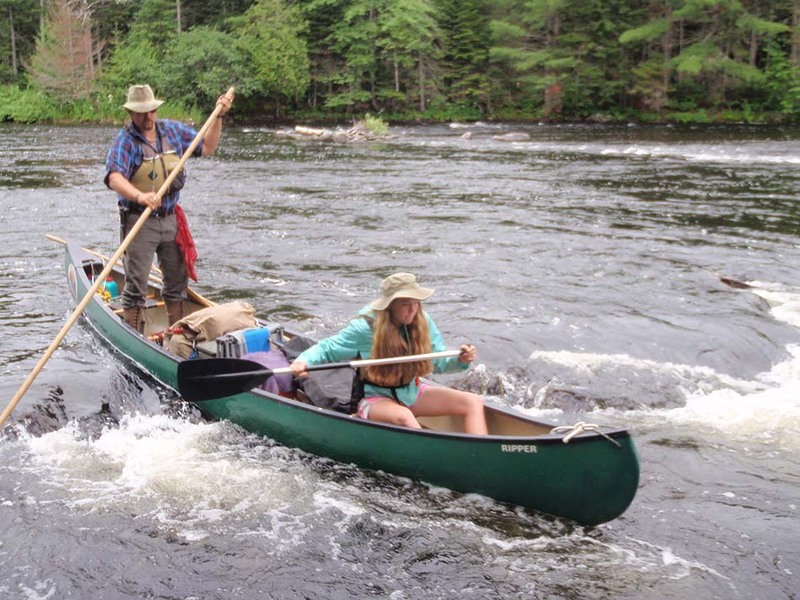 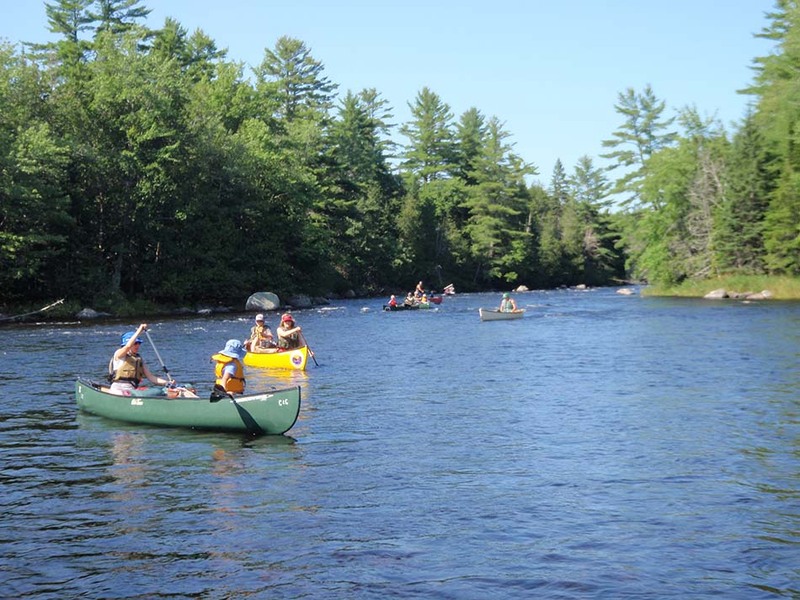 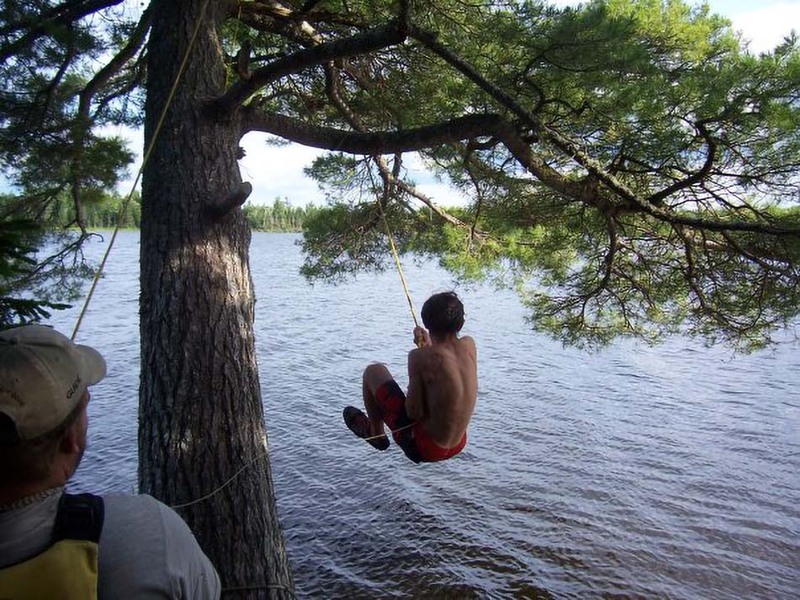 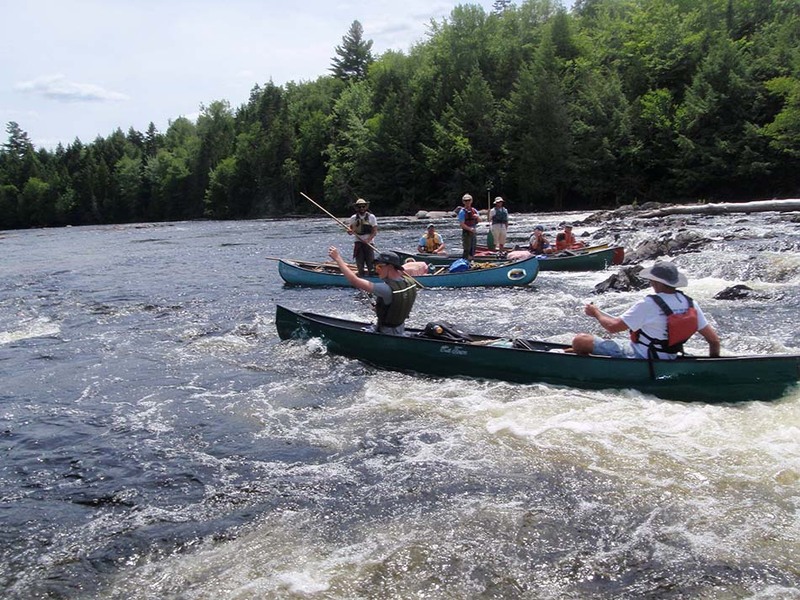 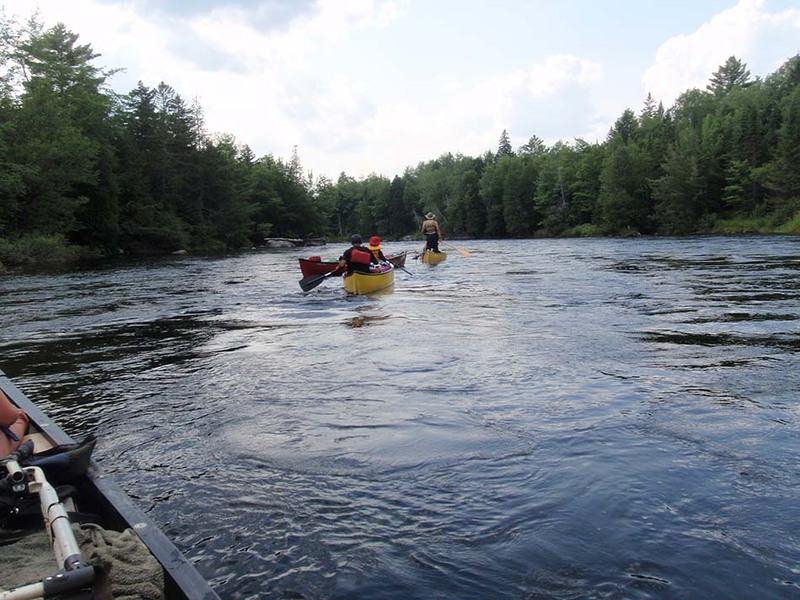 Therefore, when other rivers may not have suitable river levels, the St. Croix is a dependable option for groups seeking excellent whitewater, yet relaxing, canoe trip and a well-rounded outdoor experience in the Maine woods. 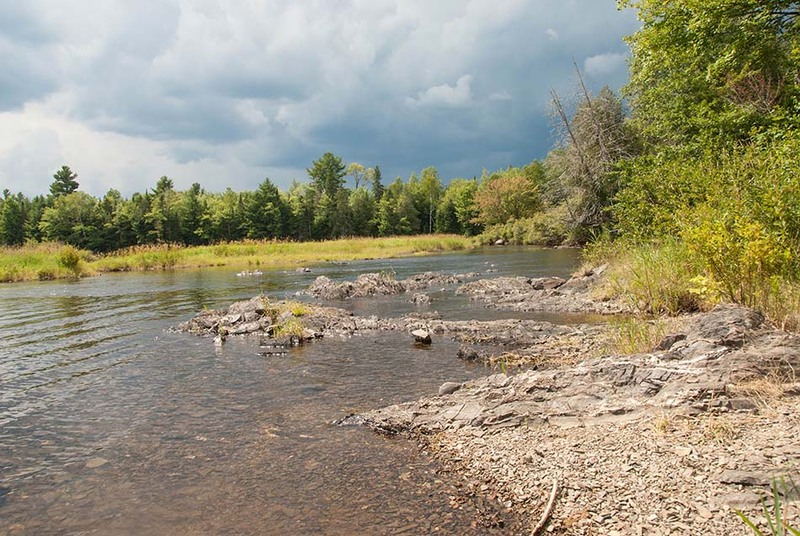 Beneath the surface of the water, the predominant fish species on the St. Croix River is the smallmouth bass. 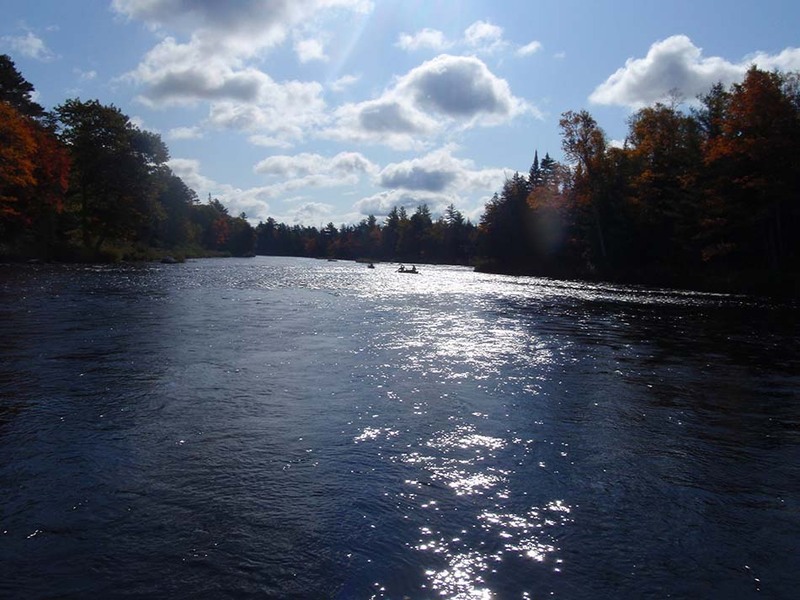 For anglers young and old, smallmouth fishing on the St. Croix is generally quite exceptional and it is not uncommon for those willing to spend the time, to catch well over 25 fish per day. 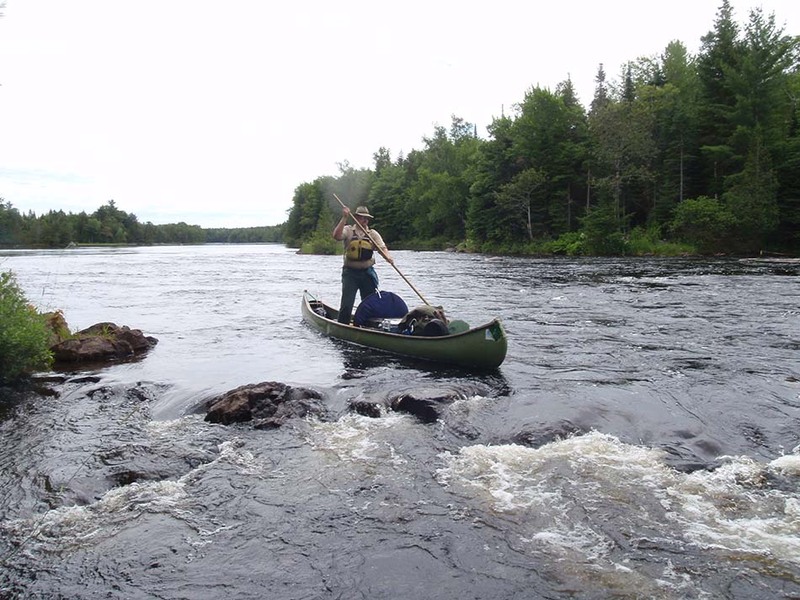 As smallmouth bass are not exceptional fish for eating compared to our native brook trout, fishing on the St. Croix is almost always catch-and-release. 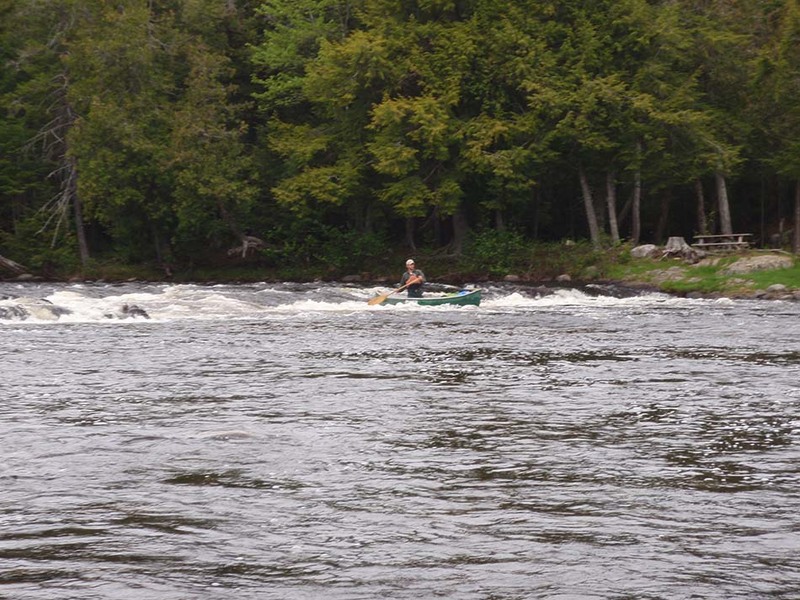 However, smallmouth bass are generally considered some of the most entertaining fish to catch because they are known for their fight and commonly can be seen jumping high out of the water when hooked. 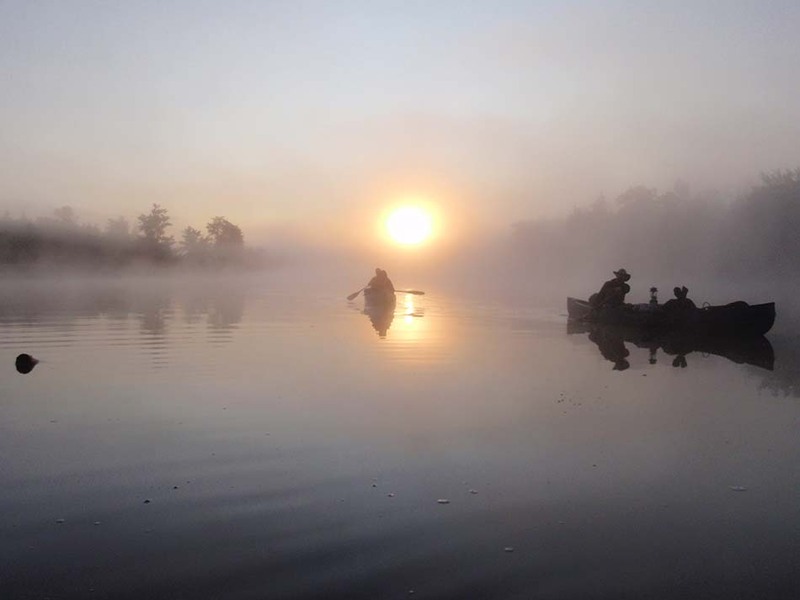 Fishing is, of course, optional on the trip but if it is an interest, our Guides are more than happy to provide their local knowledge with pointers, tips on tackle, and share some excellent locations to cast a line. 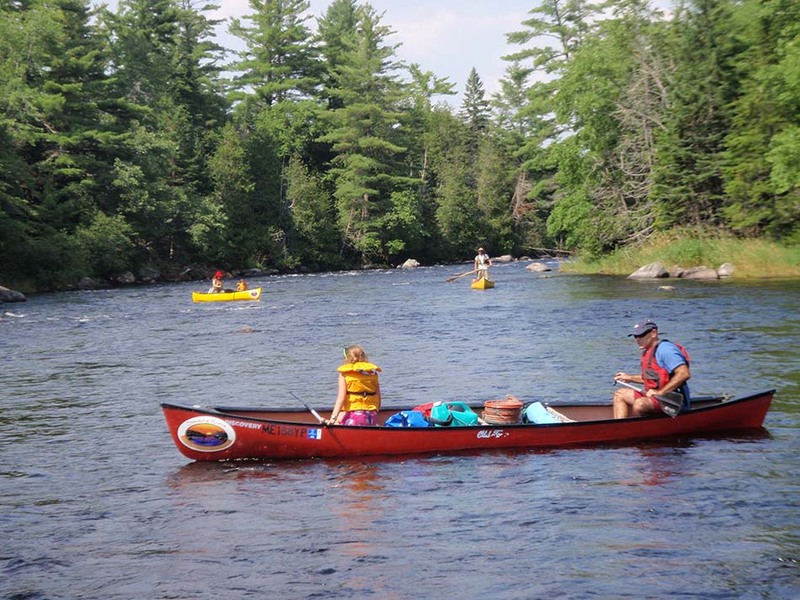 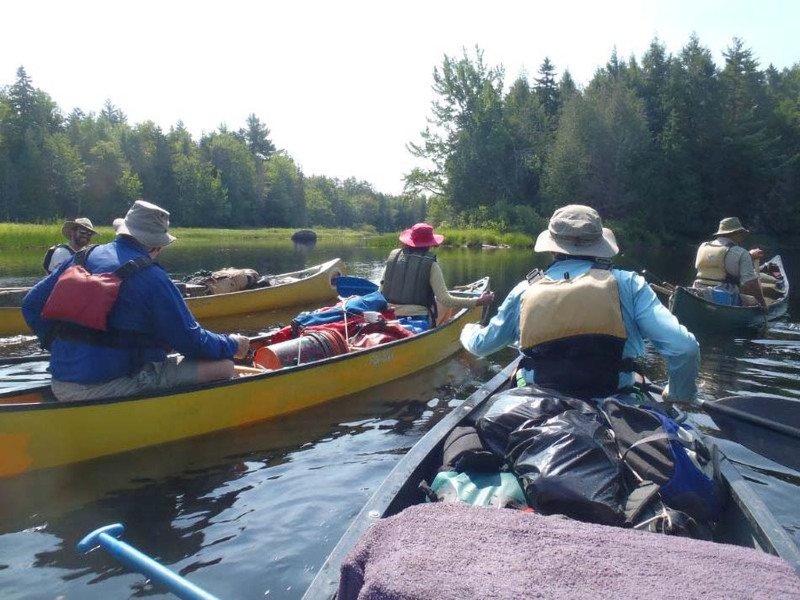 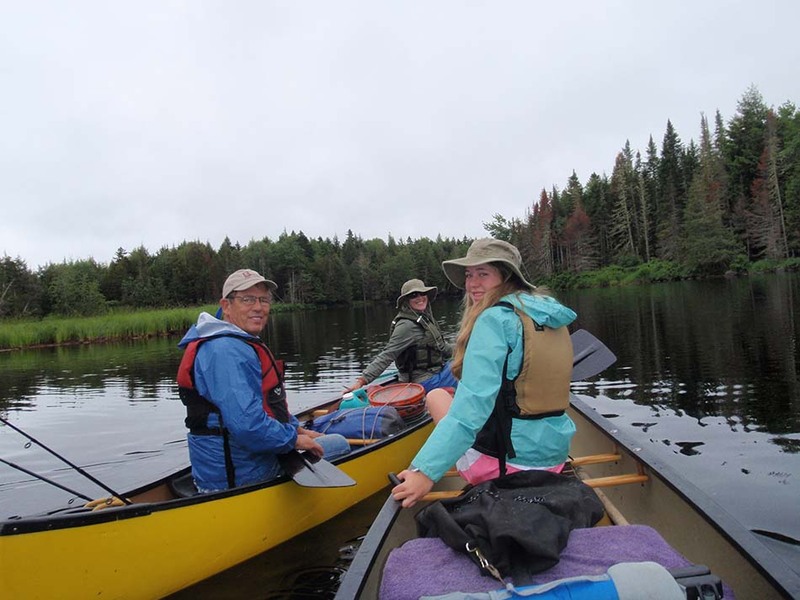 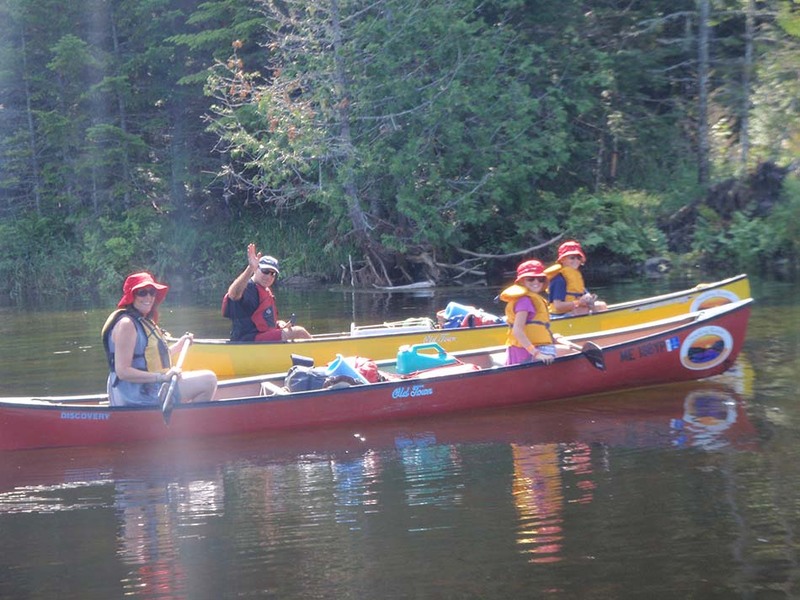 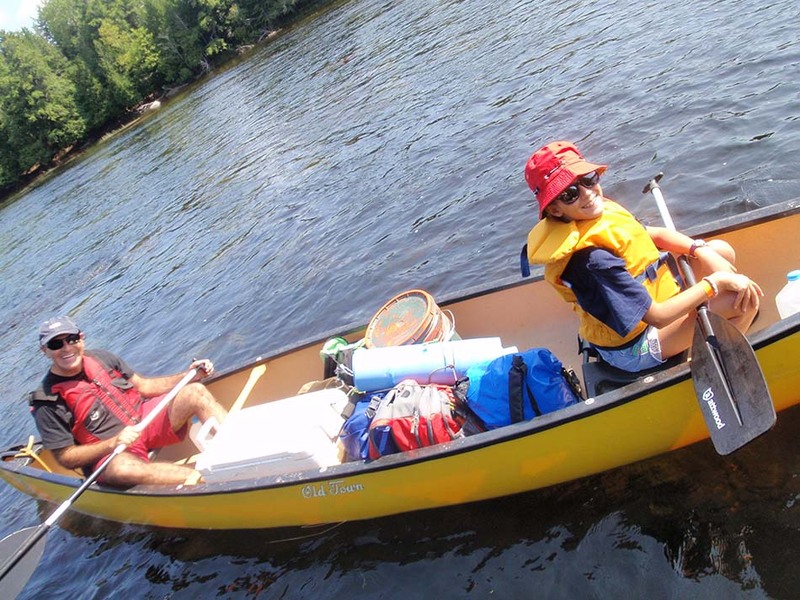 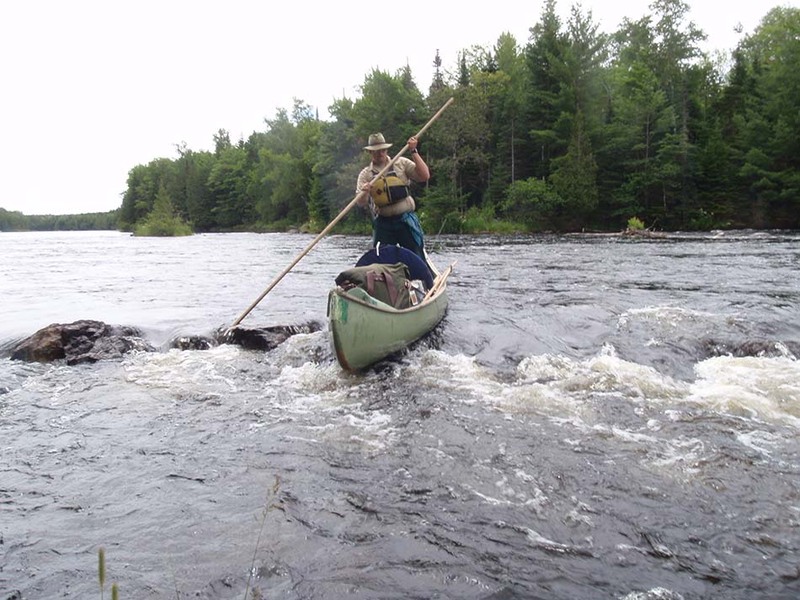 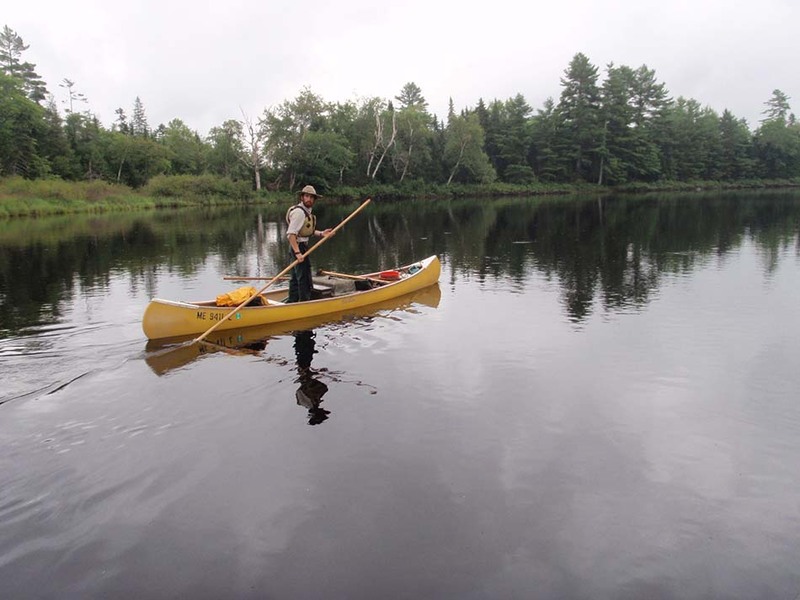 Days in the canoe while on the St. Croix are leisurely and plenty of time is built into the schedule to allow a relaxed voyage downstream. 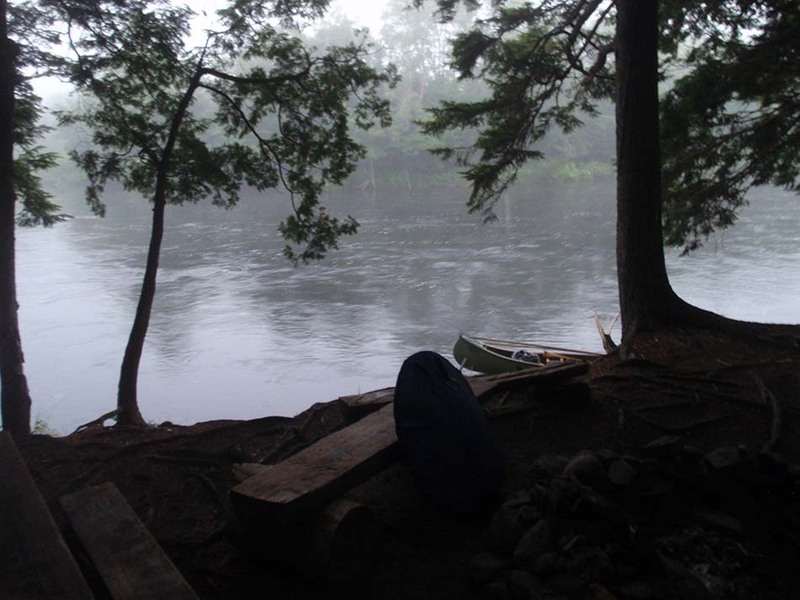 Each day we will traverse a new section of the waterway and camp at scenic, secluded campsites on the river shore. 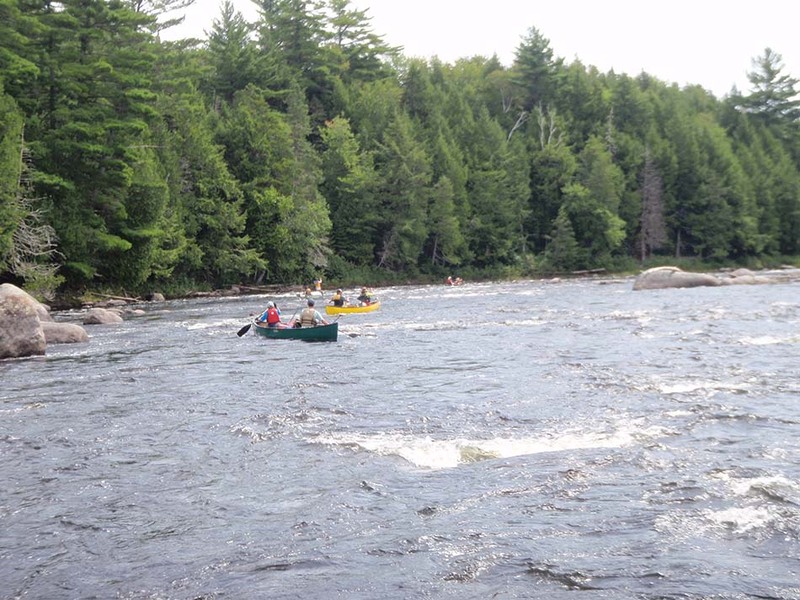 The campsites, while rustic, are well established and perfect opportunities to swim, fish, relax, or read after an enjoyable day on the river. 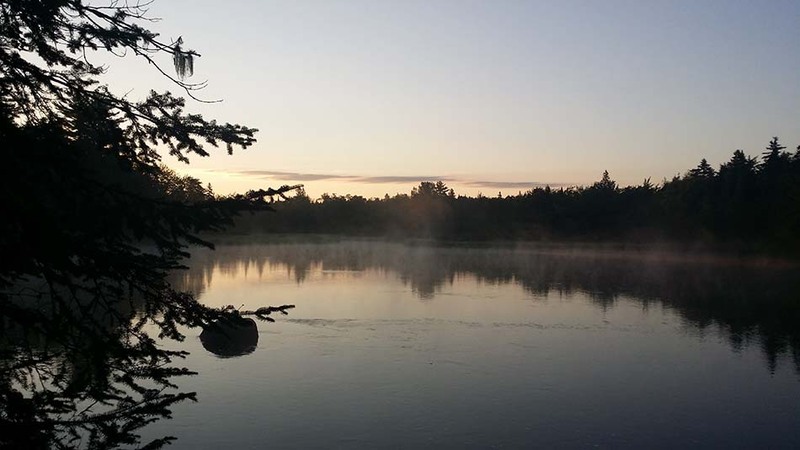 Breakfast and dinner are prepared hot and fresh each morning and evening by your Guides while lunch is served on the riverbank every afternoon. 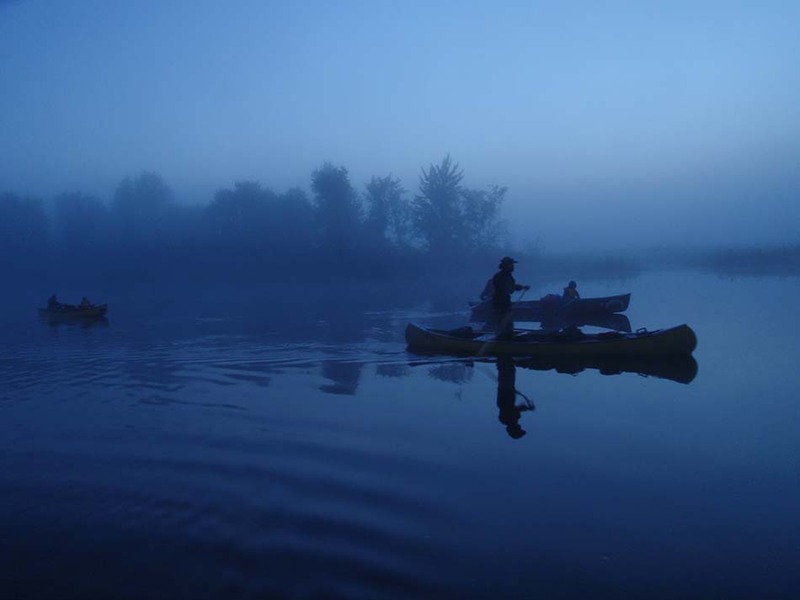 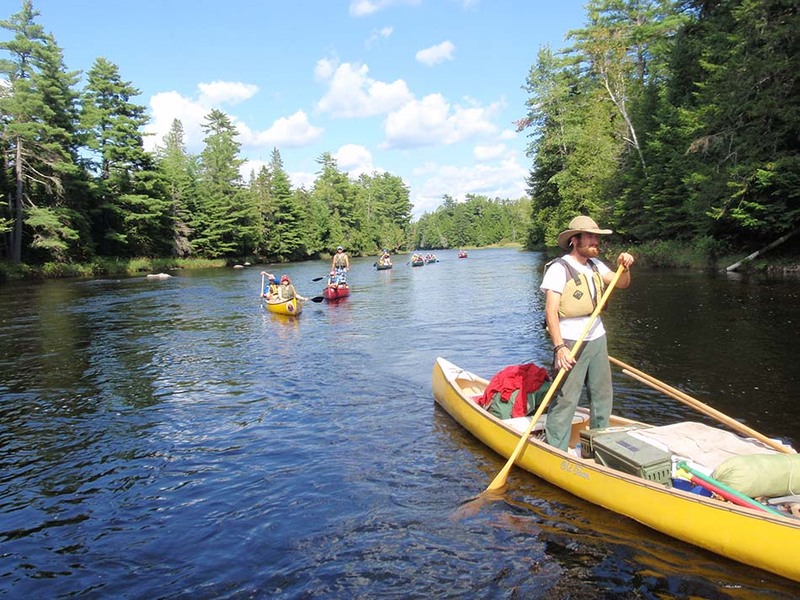 The St. Croix River is ideal for canoe poling and solo paddling both of which are options for guests. 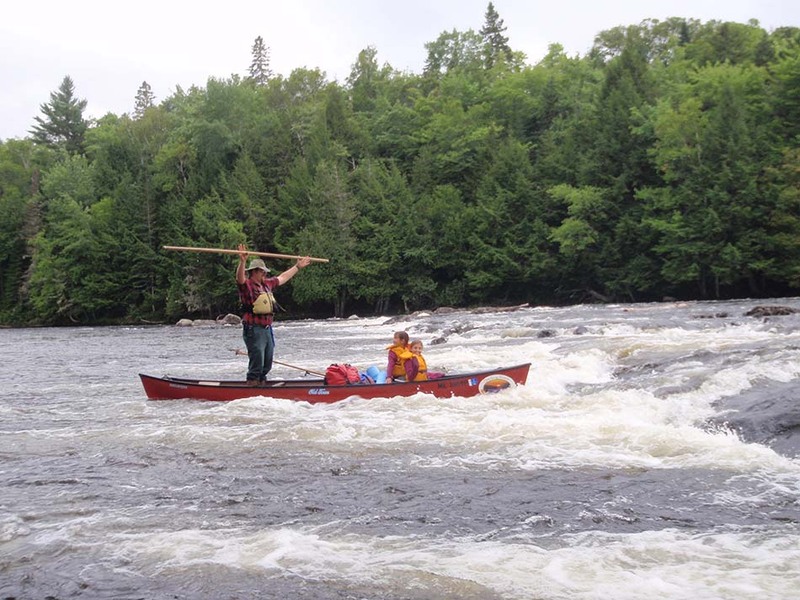 Canoe Poling, an art form practiced by the log drivers and Native Americans, is a technique that is very unique to Maine and allows a canoeist to propel the craft, while standing, both upstream and downstream with a 10-12’ ash setting pole. 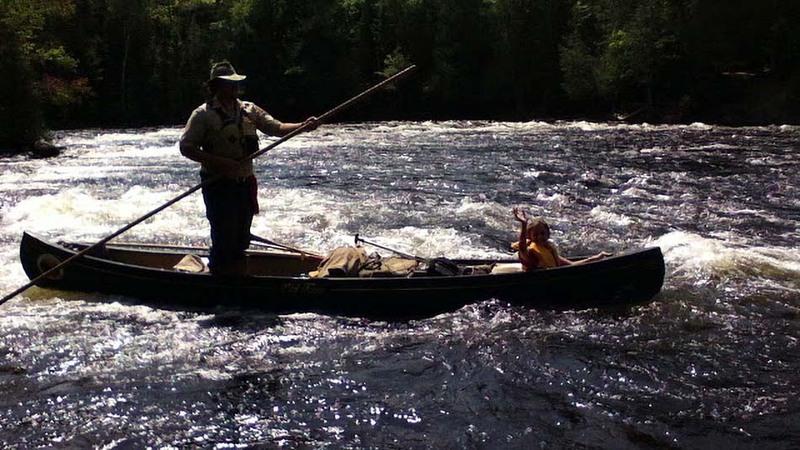 Equal parts dexterity and finesse, the shallow, sandy, and rocky riverbed of the St. Croix is an excellent location to learn poling and our Guides are experts in the instruction and use of the setting pole. 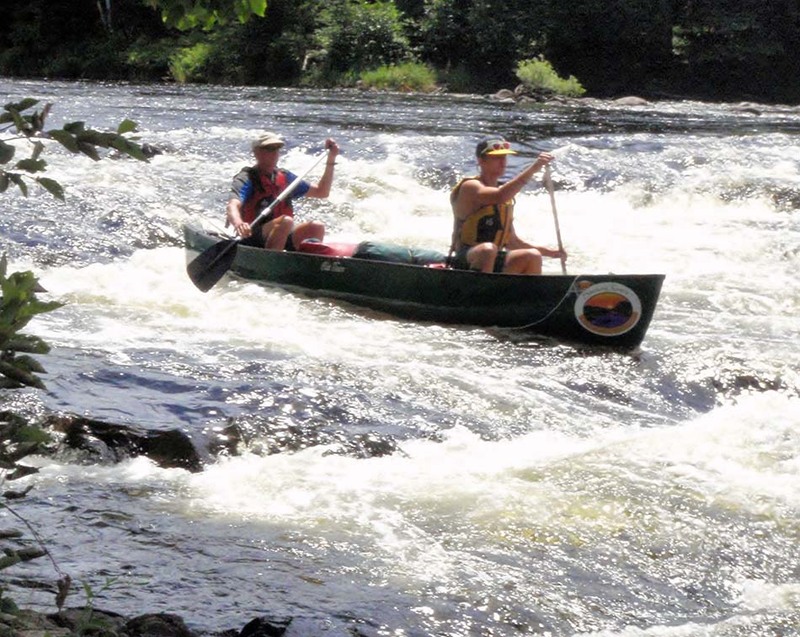 The St. Croix International Waterway can be enjoyed by groups from late-April to mid-October depending upon schedules. 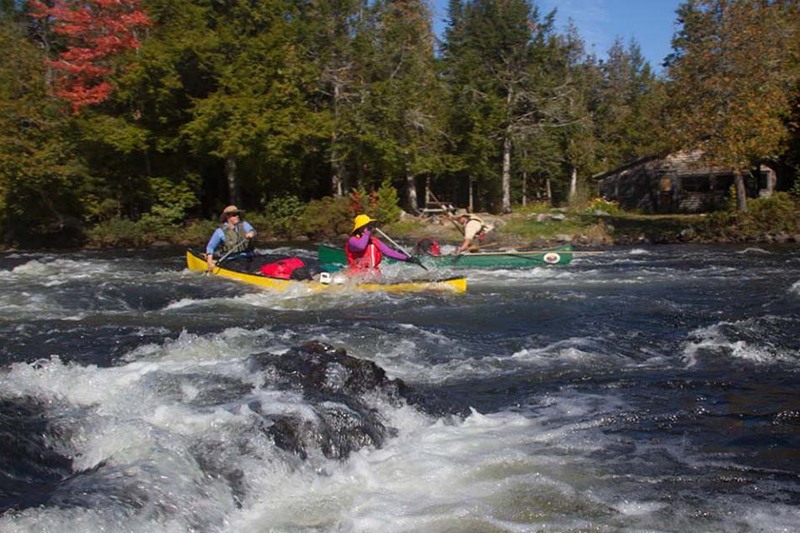 Open trips are organized throughout the paddling season and private bookings are available as well. 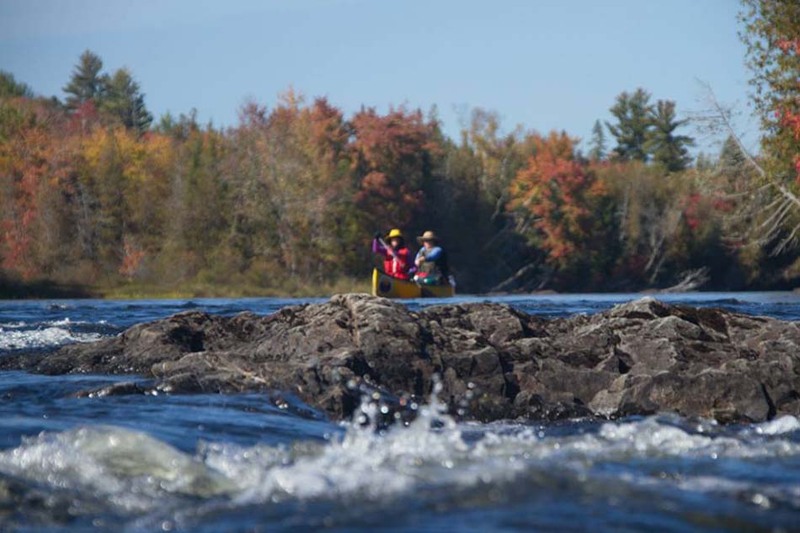 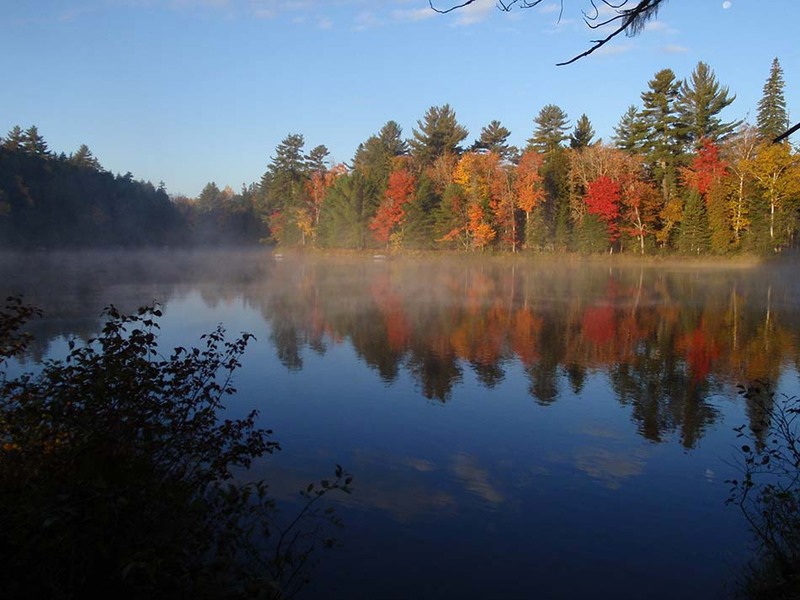 Smoking Rivers also hosts an annual end-of-season fall foliage trip on the St. Croix river, which encompasses the entirety of Spednic Lake and the river portion of the St. Croix, while surrounded by the beautiful red, yellow, and orange hues of the changing foliage.